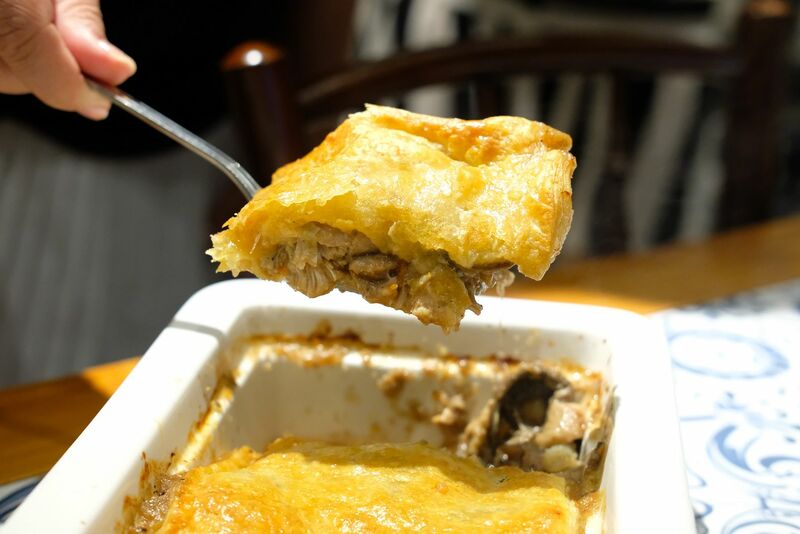 The freshly baked Eurasian Christmas Pie($30) sees a stew of boneless chicken, meat balls, pork sausages, mushroom, potatoes, and carrots cooked with a myriad of spices for about 1.5 hours, before it is topped with buttery puff pastry and baked to a gorgeous golden brown. This homey pie will warm your heart, like it did mine. Note that the Christmas Pie is only available on 24th and 25th December, for dine in only. Debal ($30), or Curry Devil, is a well-loved Eurasian spicy stew traditionally made with leftover meats from Christmas feasts. In the past, Debal was prepared and savoured on Boxing Day. Tons of ingredients go into the making of a great debal. 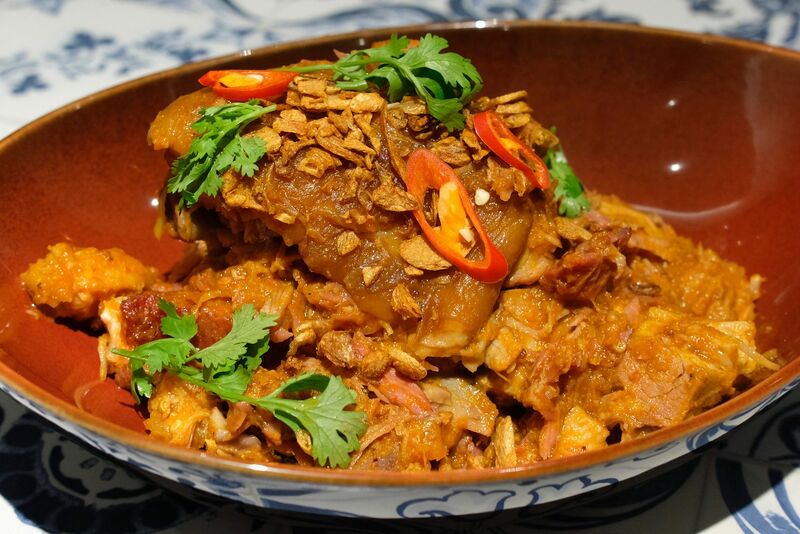 Shallots, onion paste, rempah, pork ribs, young julienned ginger, ham, bacon bones, smoked knuckles, and roast pork are just some of the ingredients. Lots of effort and many hours go into the preparation of Folklore's rendition of debal, so you can be sure that it is a fantastic one. One of the highlights for me was the Oxtail Semur($26). 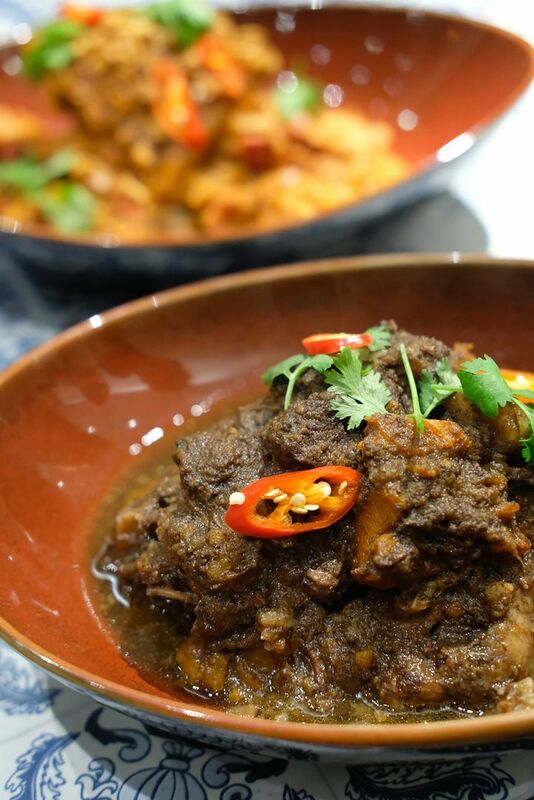 Oxtail is first marinated with a spice mix of nutmegs, cinnamon, cloves, star anises and black pepper, ginger and onion paste and dark soy sauce overnight. It is then cooked and simmered for over 5 hours till the oxtail is incredibly tender. 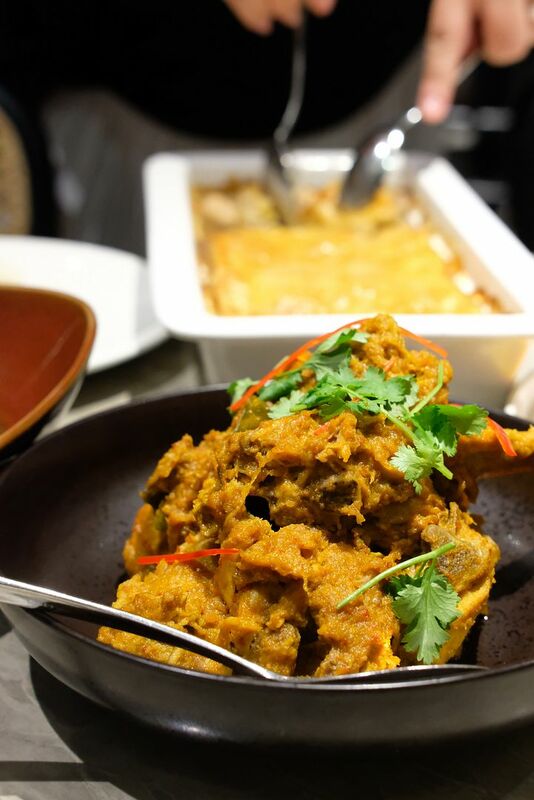 Everyone was full of praise for the melt-in-your-mouth oxtail that was packed with flavours and adequately spiced. The Sambal Juliana($14) is an ensemble of sambal titek, sugar, lime juice, salt, garlic, prawns, brinjal, and dried shrimps. It looks exceedingly spicy, but was surprisingly manageable, even for me. It was the first time that I was trying brinjal and I realised what I have been missing out on all my life. 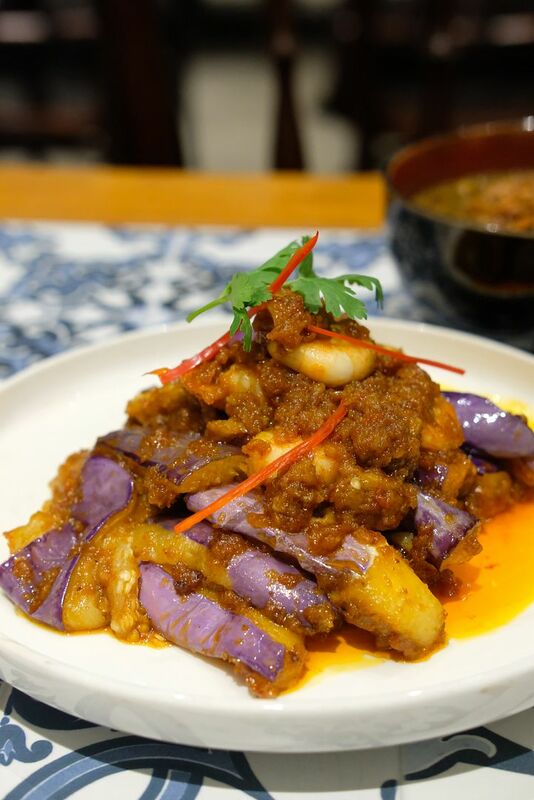 The brinjal was really soft, but not mushy, and soaked up all the flavours of the dish really well. Chef Damian heard this Eurasian story about Sambal Juliana from his grandpa : A long long time ago, a ship's captain tried a dish that tasted like Indian Pacheri (a sour, sweet and spicy dish with lady fingers) in Goa, and wanted his worker to replicate it for him. When it was done, the captain asked what was the name of the dish and the worker named it after his wife - Juliana. 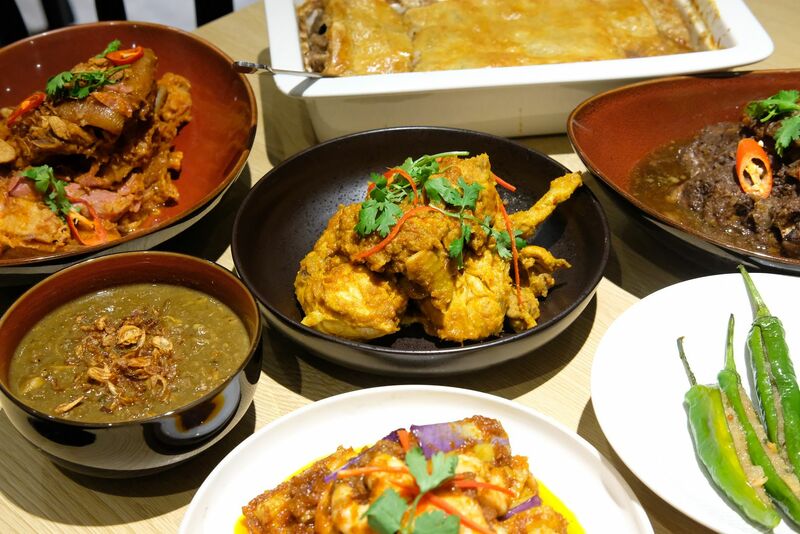 It was said that the dish, Sambal Kapitan($26), was named after a Portuguese ship’s captain whose cook successfully replicated a home town dish that he was craving for while he was on an expedition. The Sambal Kapitan was undoubtedly the most loved dish of the evening. The tender chicken, that is prepared with lemongrass, rempah and garlic, is crazy spicy, and a definite winner that will stun all spice lovers. I had a chunk of chicken and was impressed by how delicious it was, but the spiciness kicked in right after and numbed my entire mouth. Two glasses of iced water couldn't even extinguish the heat! Certainly not for the faint-hearted! 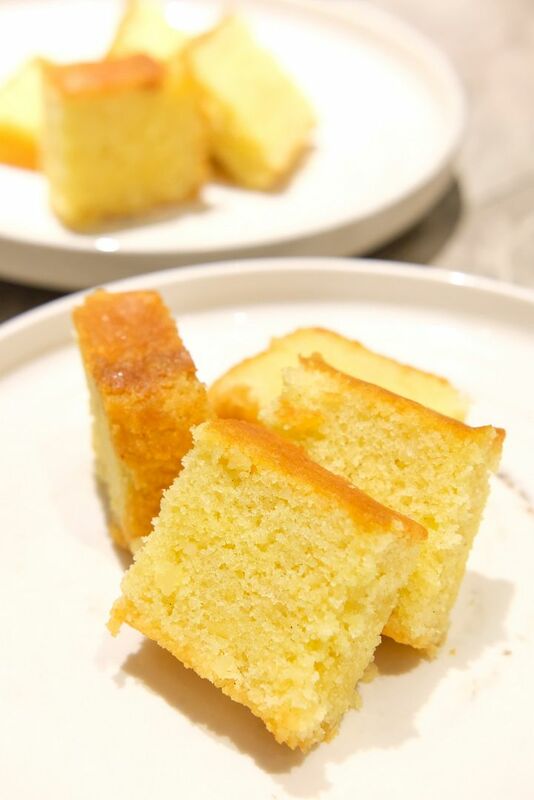 The buttery and light Sugee Cake ($10/4 slices, $54/whole cake), which is studded with almonds, is a great treat to round off a hearty meal. Putugal($8) is an extremely rare dessert that even Chef Damian has not made in the last fifteen years! 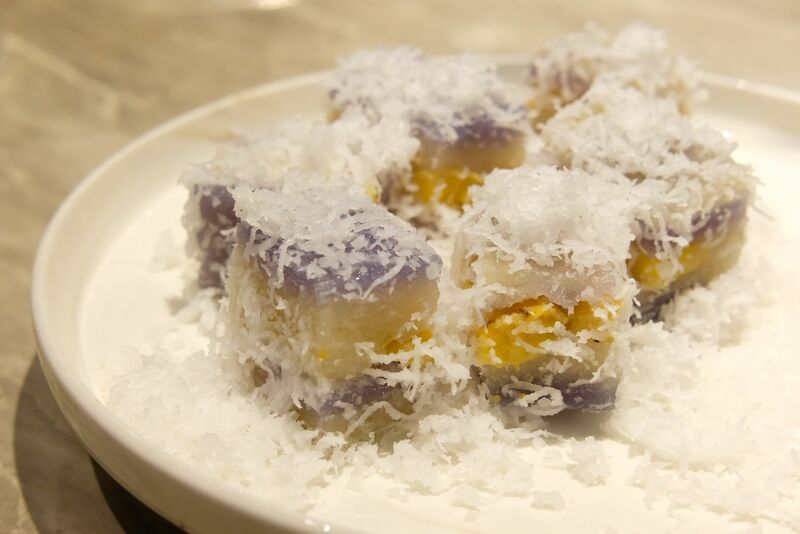 Hand-grated tapioca, blue pea flour, sugar, coconut milk and deeply-ripened Raja banana are brought together to create Putugal. The essence of Raja banana has a really distinct sour aftertaste. I did not take to the dessert on the first bite, but it grew on me. I ended up really liking the Raja banana, and freshly grated coconut! It was my first encounter with Eurasian cuisine and I'm amazed at the amount of time and effort that goes into the preparation and execution of every dish. 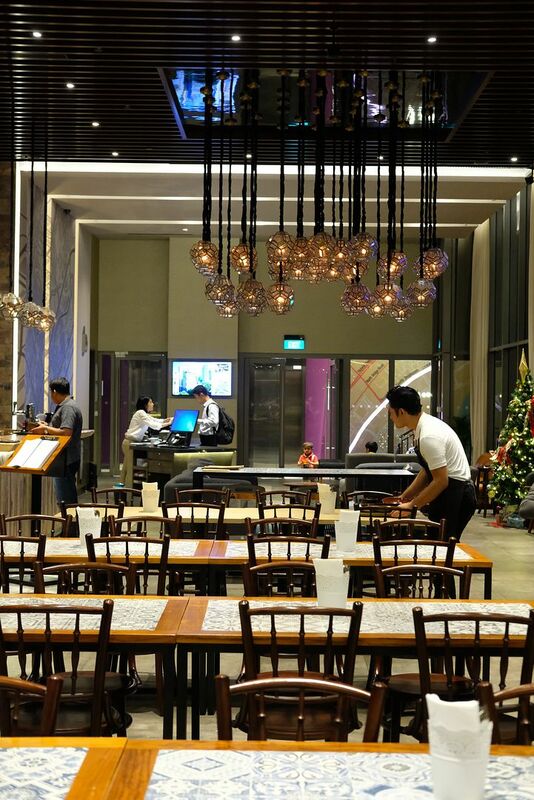 I really have to applaud Chef Damian for keeping this heritage alive, and for giving both the older and younger generations a chance to relish the bold flavours and richness of Eurasian dishes. If you haven't dined at Folklore, but have been meaning to, now is the best time to do so, because you get to try the Christmas dishes too! Apart from the Christmas Pie which is only available on 24th and 25th December, all other dishes are available till 31st December and can be taken away. Note that a 5 day notice is required for takeaways, and there is a minimum order of 4 mains.